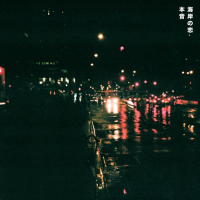 Brimming with unseen potential, HONNE makes a shaky first impression on Coastal Love. UK-based electronic duo HONNE is best defined by the Japanese cultural foundation upon which they had set their entire production upon: the traditional perception that every individual belongs to two separate convictions – a public entity (tatemai) and a private entity (honne). Their first release on self-made Tatemai Recordings, the band make their intent known in their group name and drive it home with the sound of their release: to create an inward-looking, smooth, and soulful listening experience. More or less, the two succeed in their goals. Their vocals are serviceable and at time provide the basis for strong instrumental hooks to find their center, such as on title track “Coastal Love”. The most looming issue for the band will be finding their own center as they progress in their career, somewhere where they can maintain their original vision while maintaining a more original sound, lest they become lost in the sea of up-and-coming electronic composers with more or less the same relaxed sonic intent in mind. With a little more life, they might yet just make their name known.